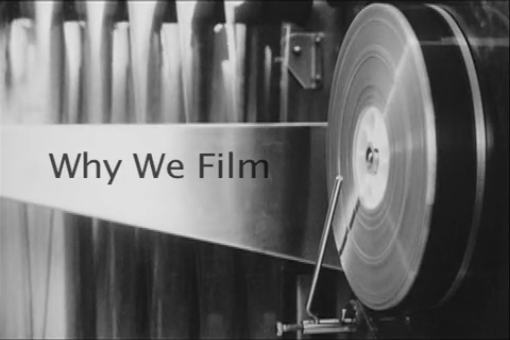 WHY WE FILM – help kickstart this film into production! New York Public Library archivist and producer, Elena Rossi-Snook, will present the glories of FILM in ‘Why We Film’, a documentary that she is producing on behalf of the Association of Moving Image Archvists Film Advocacy Task Force, partly funded through a Kickstarter campaign. Rossi-Snook is tirelessly passionate about film (sign up to the kickstarter campaign and you will see, her enthusiasm is infectious). Is it the tactile manipulation that film demands which makes it so special, or maybe the it’s the biochemical feedback that it inspires in it’s audience? Perhaps it’s simply because film cannot be topped. At least not from an archival perspective. With only DAYS to go before the kickstarter campaign ends, there are still plenty of great rewards for donors, ranging from classic movie posters to pitch approval/rejection letters, film prints from the New York Public Library to guided tours around the Kodak factory. Pledge your support for this great project!